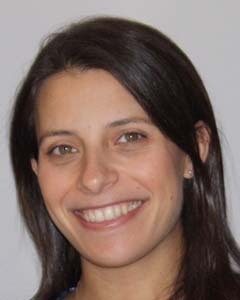 Rebecca Seltzer is an Assistant Professor of Pediatrics at the Johns Hopkins School of Medicine. Her research involves improving care for children with medical complexity, with a particular focus on those in the child welfare system. She is exploring the ethical and policy challenges that arise when caring for this vulnerable population, including challenges related to medical decision-making, conducting research with children in foster care, and gaps in community supports and placement options for children with medical complexity. She is an attending physician at the Harriet Lane Primary Care clinic, where she oversees pediatric residents and medical students. She is currently developing the Bridging to Wellness clinic, a follow-up clinic for children evaluated for abuse and/or neglect by the child protection team at Johns Hopkins. Dr. Seltzer is a former Hecht-Levi Fellow at the Berman Institute of Bioethics. She received her BA from the University of Virginia as an Echols Scholar, received her MD from the Perelman School of Medicine at the University of Pennsylvania, completed pediatric residency training at the Children’s Hospital of Philadelphia, completed fellowship training in Academic General Pediatrics and ethics at Johns Hopkins, and received an MHS from the Johns Hopkins Bloomberg School of Public Health. Seltzer RR, Henderson CM, Boss RD. Medical foster care: what happens when children with medical complexity cannot be cared for by their families? Pediatr Res. 2016 Jan;79(1-2):191-6. Seltzer RR. “Medically Fragile: Handle with Care.” Hopkins Medicine Magazine. Winter 2016. Williams EP, Seltzer RR, Boss RD. Language Matters: Finding Medically Complex Children in Foster Care. Pediatrics. 2017 Oct;140(4). Boss RD, Williams EP, Henderson CM, Seltzer RR, Shapiro MC, Hahn E, Hutton N. Pediatric chronic critical illness: reducing excess hospitalizations. Hosp Pediatr. 2017 Aug; 7(8): 460-70. Seltzer RR, Johnson S, Minkovitz CS. Medical Complexity and Placement Outcomes for Children in Foster Care. Child Youth Serv Rev. 2017 Dec; 83: 285-293. Seltzer RR, Williams EP, Donohue PK, Boss RD. Medical Foster Care for Children with Chronic Critical Illness: Identifying Strengths and Challenges. Child Youth Serv Rev. 2018; 88: 18-24.